Now that your Hot Water Cylinder is maxed out - what can you do with your excess juice? If you have a JuiceBox you are in luck. 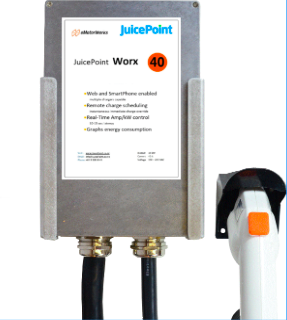 Paladin can control your JuiceBox EVSE to vary the charge to your EV and you can control the JuiceBox from your very own Dashboard. If you have your JuiceBox connected to the Portal (Internet), Paladin will control the charge to your EV. Join the many customers that are virtually driving for free! We have test customers now and the results are great (see Paladin-JB in action below). Contact us to express your interest now. (See the video explanation below). Use your Android App to connect Paladin to the JuiceBox. 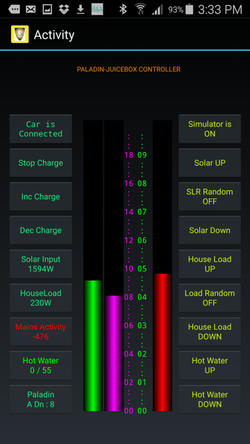 Control your JuiceBox to and see your charging history on the JuiceBox DashBoard. ​Download yours from Google Play and use the simulator to see how you could benefit. All NZ EVs have a J1772 plug. You will need to have a JuiceBox to connect, but we can arrange that for you if you don't have one. We have NZ's top selling Nissan LEAF and Mitsubishi Outlander EVs charging regularly. See if you can find us on Plugshare. Enjoy a system that incorporates leading edge technology with aesthetic designs inspired by 19th-century industrial steam-powered machinery. This is our partner app for Paladin. Download PaladinSpy from Google Play.